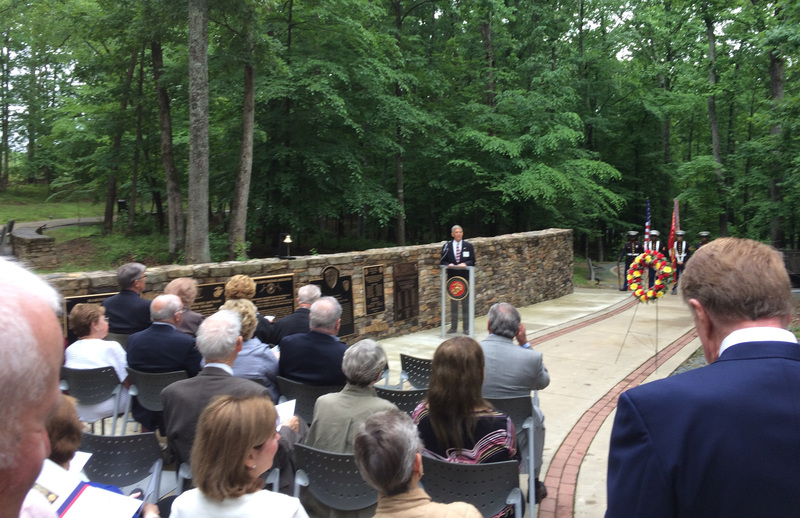 A video of the Dedication ceremony is at this link. Photos below. "Insofar as the idea, I thought of it last year when I saw the plaque if B Co TBS 1-63 and, with the assistance of the designer /manufacturer, altered it to its final form with B Co TBS 1-67 comments. 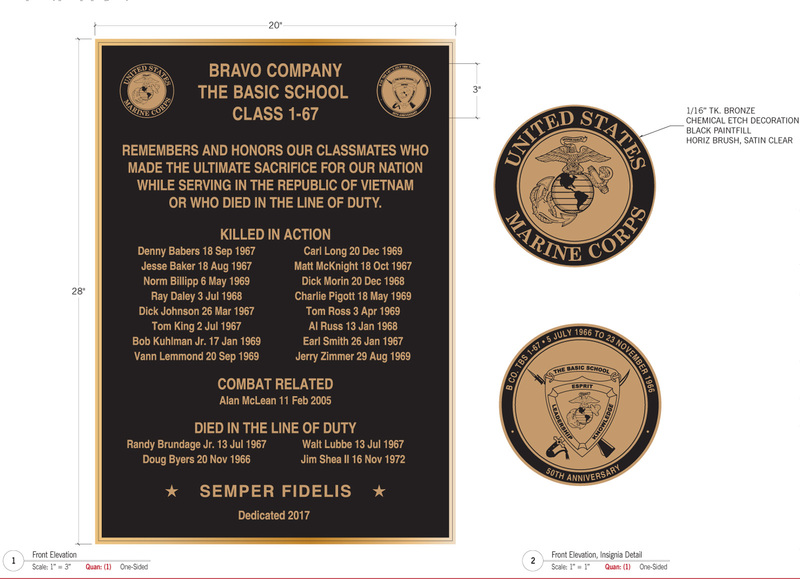 The final product, whether plaque design, manufacturing, funding for installment at the Marine Corps Museum, or yesterday's dedication -- was a a team effort by B Company members, with special emphasis for those whose names appear on the plaque. Their share was the greatest. "I had to depart our plaque site with the wreath. The museum does not permit such items to remain following a ceremony. Today after the florist made a few repairs from the transportation to and from yesterday's ceremony it was delivered as a gift to a home for elderly retired military for their Memorial Day. A date has been set and the time is 11:00 a.m. The meeting location will be in front of the Marine Corps Museum or in the lobby if inclement weather. Father John Cregan has been invited to give a blessing. Other aspects of the dedication are TBD; but very likely that attendees will have lunch together at one of the museum facilities. Please RSVP to Bob Lange (rlange3141@msn.com) for the Memorial Plaque Dedication Ceremony by May 17 so we know about how many attendees to expect and can also plan for lunch after the Dedication. 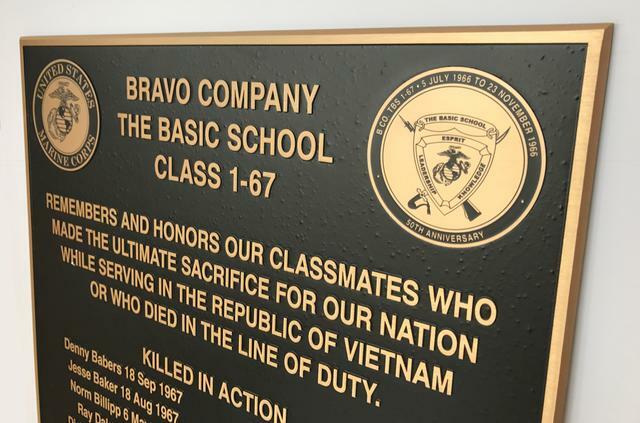 This great project, initiated and managed by Hays Parks, reached a milestone on April 5 when the plaque was delivered and installed on the grounds of the Marine Corps Museum. A date for the dedication ceremony is pending. "...mission accomplished, with thanks to all for your support financially and otherwise. It is in a very nice wooded setting on a beautiful stone wall. 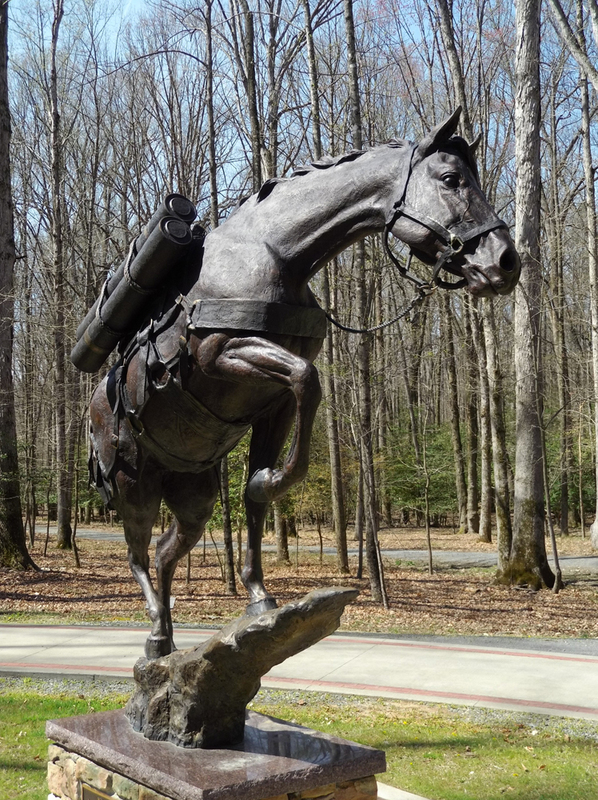 The spectacular of Korean War hero horse Reckless is close by. Reckless is a popular attraction. Viewers passing by and reading our plaque should be numerous." "Nothing to add from this perspective except a shot of Reckless and little on the actual process, completed by a pair of professional gents, including the below URLs to YouTube videos of parts of that installation process. These include image of the drilling operation, which was difficult. The crew came equipped with a board showing the locations of points at which threaded bolts were to be affixed to the back of the plaque and inserted into holes drilled into the wall. There were six such points. The stones were not yielding to battery powered drills, and a fully powered one was called into action (with help of a portable generator). The two videos show the preflight installation - without glue - and the final installation. The crew got the drilled holes into perfect alignment and done with very little to do! Also a shot of Reckless. A really great piece of sculpture to illustrate a nice story. "I'll add a poignant note about the positioning of our plaque. Besides being a grenade throw from the statue of Reckless, The Marine Hero Horse, our plaque is right next to a plaque that memorializes the first Marine to die on Iwo Jima." Hays Parks sent a photo of the completed plaque on February 7, as above. The final proof is shown below. 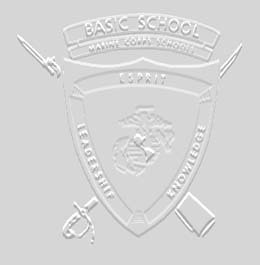 "Request for approval of the proposed design by the Marine Corps Heritage Foundation and Marine Corps University was submitted to those commands on 1 December 2O16. Approval was received slightly more than two weeks later. The plaque was ordered 11 January 2017. I was informed today that plaque production is expected to be completed in early March to coincide roughly with completion of the Marine Corps Museum Theater. The plaque design appears above. The symbols on the upper left and right corners replicate the memorial coins distributed to reunion attendees (other than in their color). The symbol on the right side replicates the TBS symbol as it existed at the time our company was in attendance. 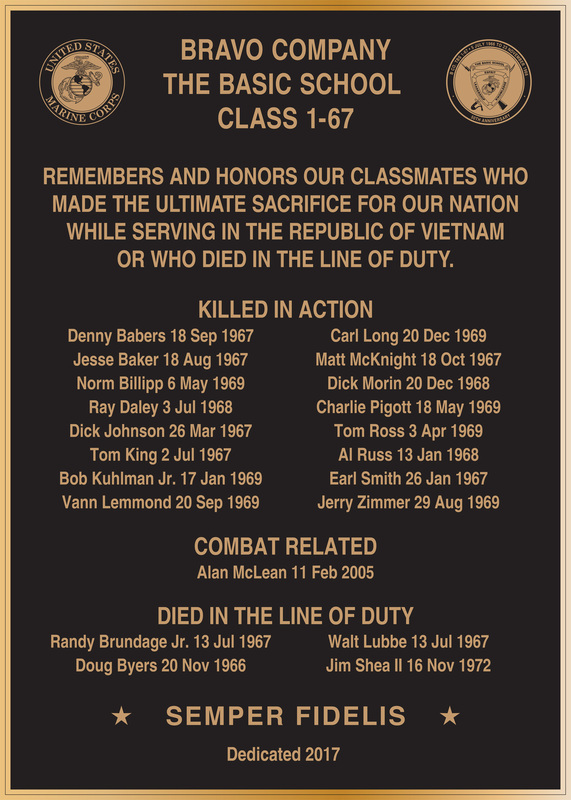 The plaque was designed in memory of B Company members named on the plaque -- a pledge that we will never forget our B Co brothers of fifty summers ago. The plaque donor wishes to remain unnamed. 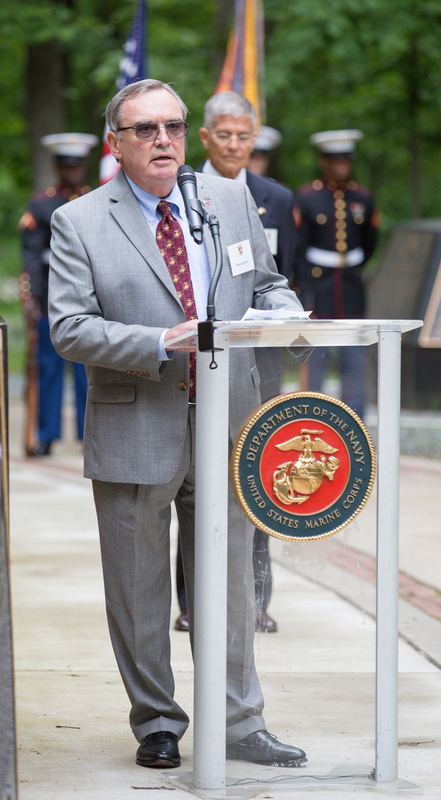 The second matter regarding the plaque concerns the cost of its dedication to the Marine Corps Heritage Foundation (MCHF). $1,000 will be placed in escrow for maintenance and upkeep of the plaque at the time of its dedication (thereby passing from our hands to the MCHF). There is a one-time $2,000 site fee, for a total donation of $3,000. Once the Marine Corps Museum is completed, the property (including the grounds, museum, statues, exhibitions, plaques, etc. ), will be placed in the hands of the Marine Corps. 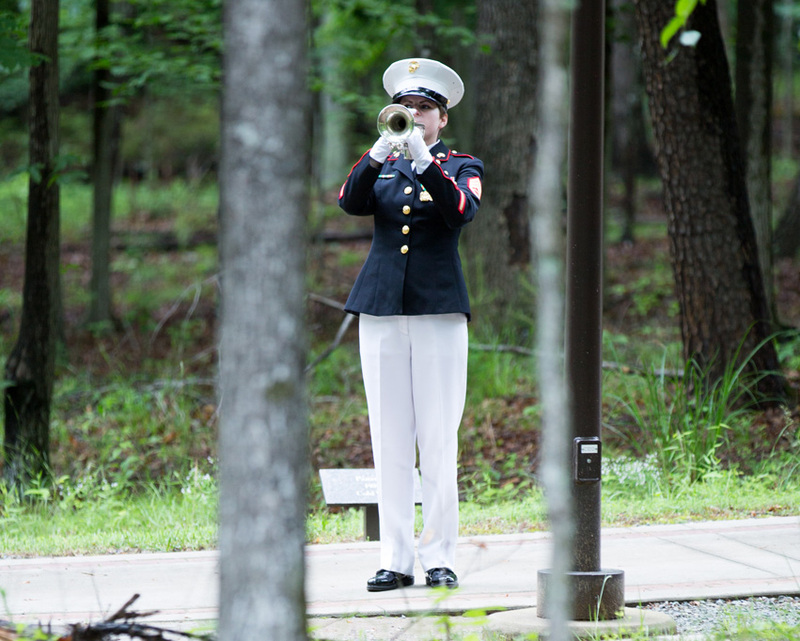 Thereafter the Marine Corps will assume responsibility for maintenance and upkeep of all property. 1. 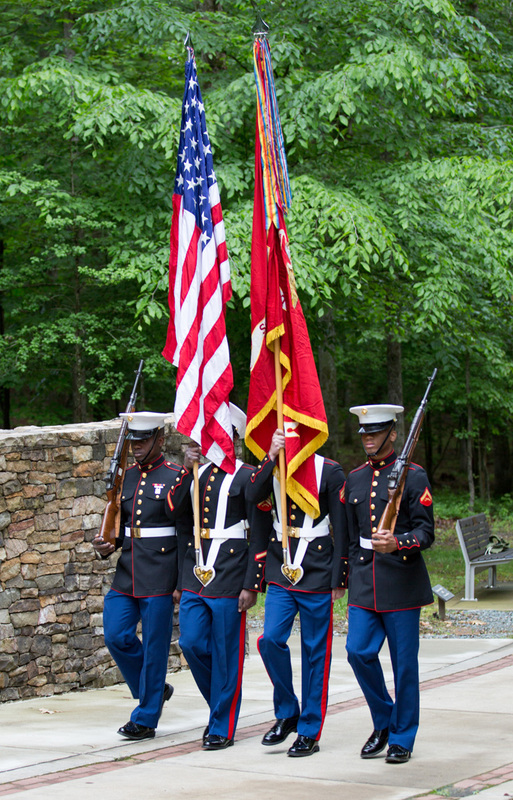 The check should be made payable to the Marine Corps Heritage Foundation. 2. The check itself must be noted "MCHF B Co TBS 1-67 memorial plaque". 3. Please limit your donation to $100! Dedication. A dedication date has not been determined. 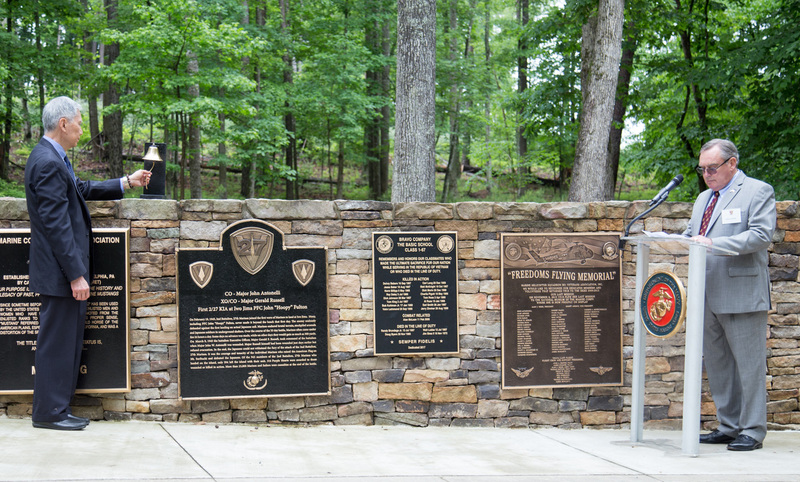 The plaque will be placed on a stone wall along the tree-lined sidewalk that makes its way through the grounds and around the Marine Corps Museum building. Statues, monuments, and plaques along the brick-lined walk are increasing. An effort is being made for near-simultaneous completion of the Marine Corps Museum Theater and dedication of several plaques. Plaque or monument dedications have varied in formality. I was informed the dedication often is arranged by the class or unit following rather than at the time of its emplacement. I will be informed of the plaque installation date and will pass the information on. As it may be short notice, my recommendation is that we arrange our own B Co TBS 1-67 (and potential private donor guests) gathering following the plaque emplacement that will be agreeable to as many as possible and with consideration of the weather. Today's cool rainy weather was a classic TBS land navigation exercise day, less ideal for our plaque dedication with wreath laying, etc., followed by lunch for those interested.